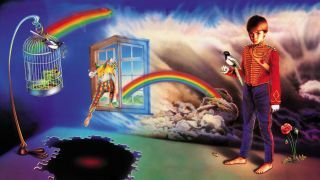 Marillion’s classic 1985 album Misplaced Childhood is to be reissued as a deluxe edition this summer. It will launch on July 21 via Parlophone as a 4CD/Blu-ray set along with a 4LP boxed version. The deluxe edition will include the original album newly remastered and a 5.1 surround remix by Steven Wilson. It will be accompanied by a previously unreleased 1985 concert from Utrecht featuring a performance of Misplaced Childhood in its entirety, along with demos and rarities which have been exclusively remastered. The BluRay will contain promo videos, an hour-long album documentary, as well as high resolution and 5.1 Surround Sound mixes of the album. The set will be presented in a case-bound book that includes a 60-page booklet with liner notes. The vinyl version will feature the newly remastered version of the original album and the Utrecht concert, with the discs pressed on heavyweight 180g vinyl. The four LPs will come in a lift-top box which will include a 24-page booklet which contains replica tour program and extensive writing on the history of the album by rock writer Dave Everley. Led by frontman Fish, Misplaced Childhood was Marillion’s third studio album and spawned the hit singles Kayleigh, Lavender and Heart Of Lothian. Misplaced Childhood Deluxe Edition is now available for pre-order. Find pack shots and tracklist below.